Staying cool in the hot sun is becoming a large part of planning a playground. 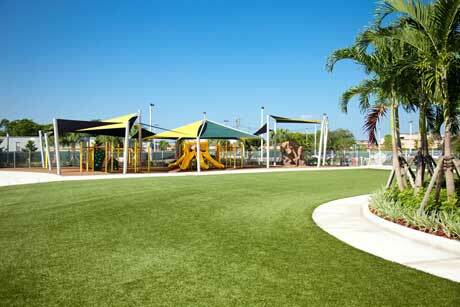 Integrating shade for play areas offers children and adults protection from the sun and harmful UV rays. Exposure to the sun can cause serious health problems ranging from mild dehydration to lifelong skin problems. 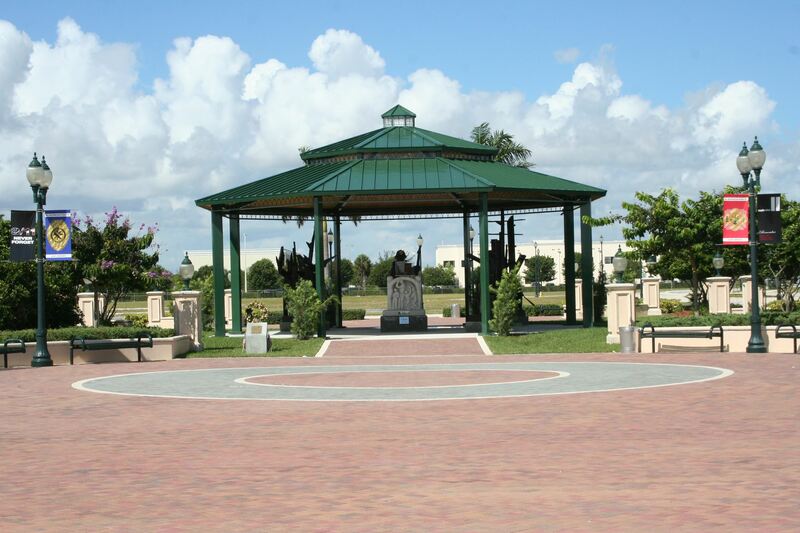 Shaded areas can block up to 95% of harmful UV rays, and reduce temperatures up to 30 degrees. 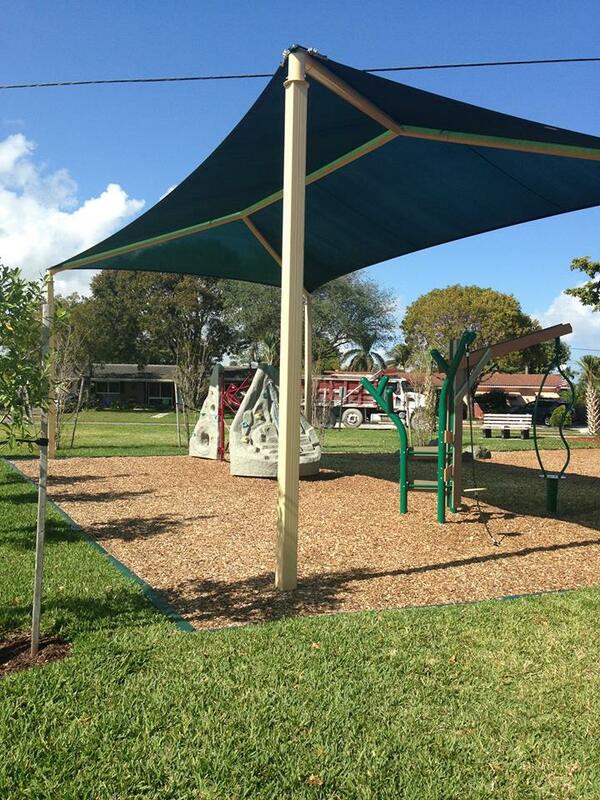 Providing Shade Canopy Structures, children can now be protected from the sun while on a playground. 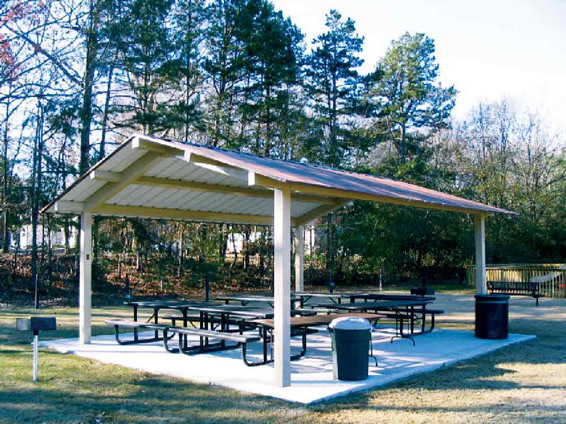 Shade Structures can also cover bleacher, picnic and resting areas while being easily removed in the event of strong winds or bad weather. 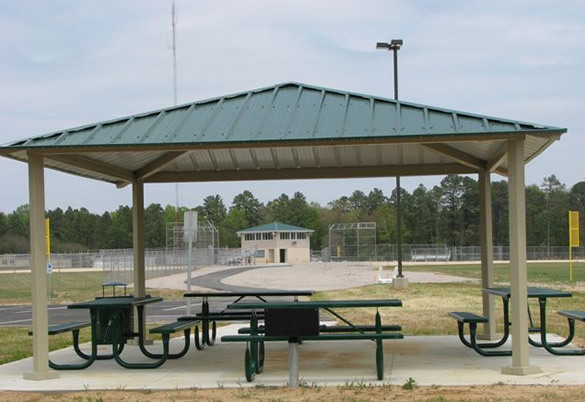 These shade structures can add to the safety of the play area by keeping equipment cooler, thereby, reducing potential injuries. 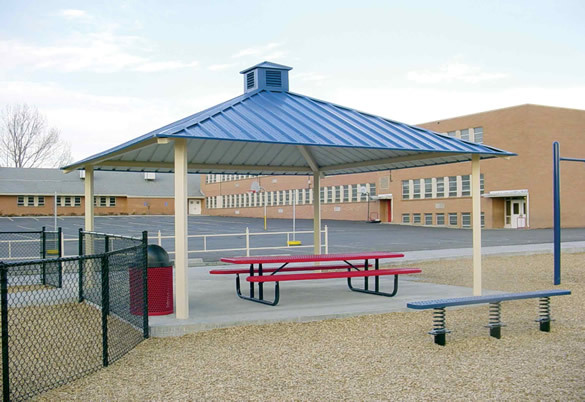 In addition, sheltered areas can protect the equipment from nature's elements, preserving it from wear and adding to its lifespan. 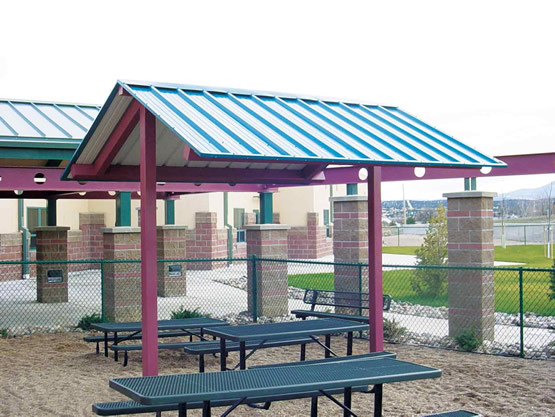 If you are looking for a more permanent structure, our Shelter Scapes product line provides pre-fabricated steel shelters, gazebos, pavilions, and dugouts for any of your school or park needs while adding a beautiful design element. Powder-coated finishes allow customers to match their school, park, or community colors or theme, Professional installation with concrete slab, engineered sealed drawings, and permits are available upon request.